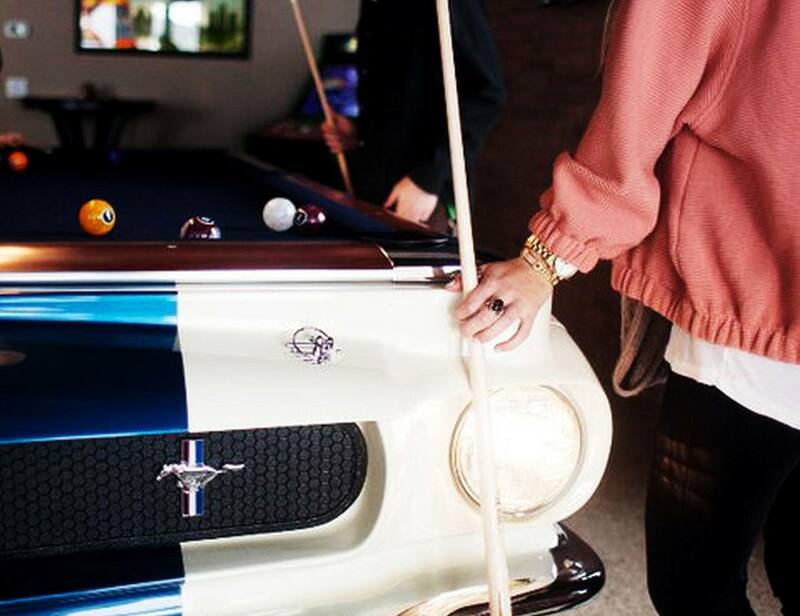 1965 Shelby GT-350 Pool Table. 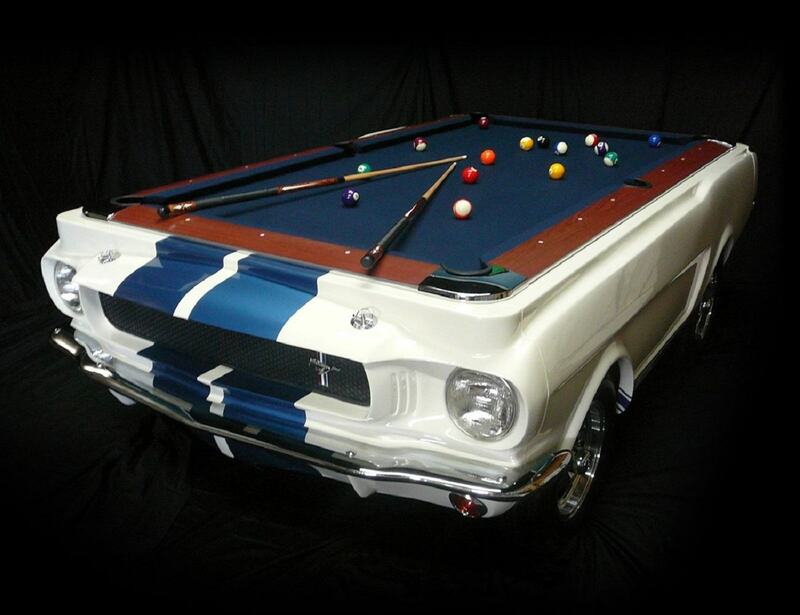 This pool table is perfect for the true classic car collector and is currently increasing in value as there are a very limited number produced. 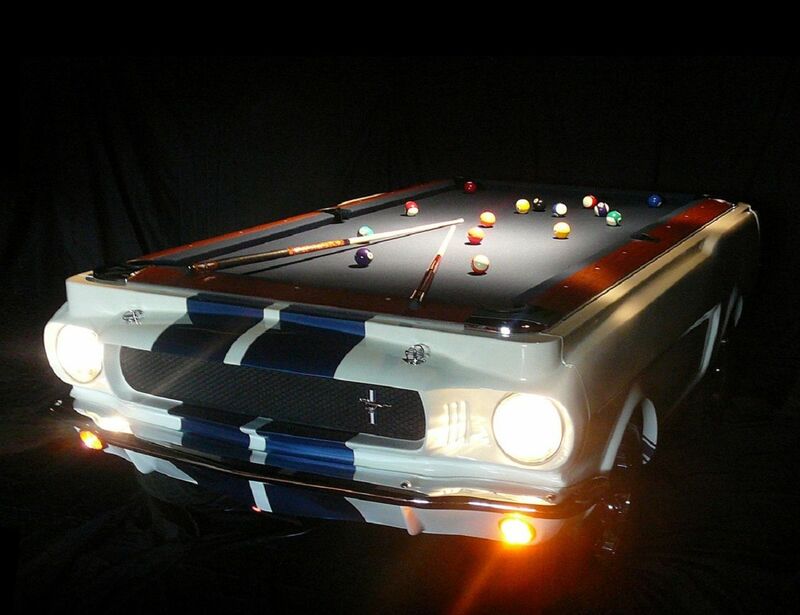 With our exclusive agreement with the Carroll Shelby Foundation, these are the only collectors edition pool tables made for Shelby. 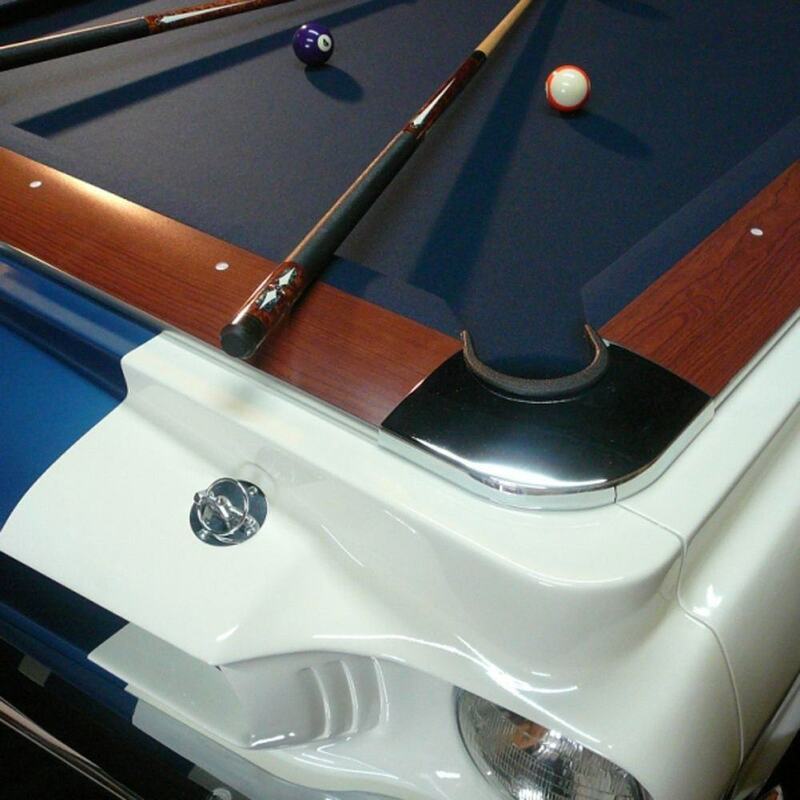 Finished in original Wimbledon white and Guardsman Blue with cherry finished rails and a solid hard-wood frame, our tables are designed to last as an heirloom collectibles for many generations.